Calculate the difference between the times given by two analog clocks. 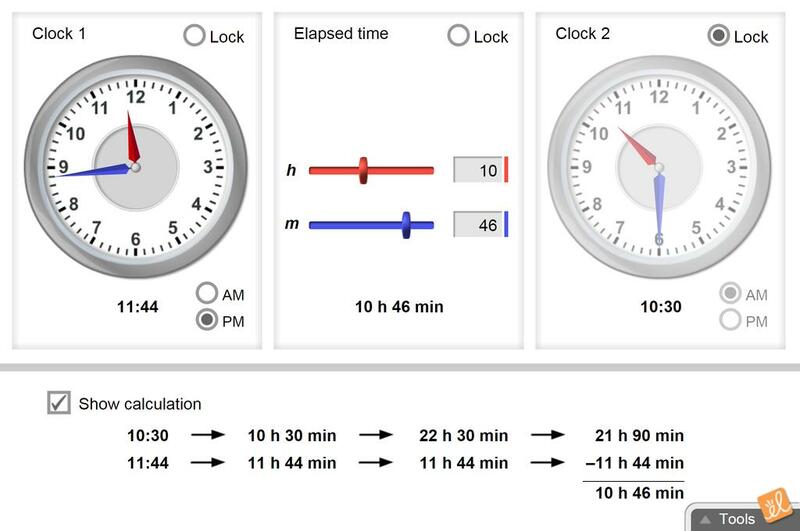 Rotate the hands of the clocks to change the time and see how the calculation changes. Mini lesson plan for elapsed time including 2 student activities. Great activity for third graders to get more practice. Elapsed time helps students with going forward and backward in time.